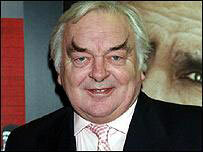 Actor David Hemmings, star of cult 1960s films Blow-Up and Barbarella, has died aged 62, his agent has said. He suffered a heart attack at the end of a day filming a new movie called Samantha's Child in Romania. Hemmings became one of the icons of the swinging 60s but later focused on directing and producing TV shows like A-Team, Quantum Leap and Airwolf. He returned to acting in recent years with roles in films like Gladiator, Last Orders and Gangs of New York. 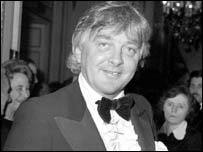 A statement from agent Liz Nelson said: "Sadly, whilst filming in Romania, David Hemmings collapsed suddenly and died of a heart attack. As always, he was accompanied by his wife Lucy." "He had just finished his final shots of the day and was going back to his dressing room, as far as we know. "He had only recently returned to acting. He opted for a number of years to work on his own projects, directing and producing." Paramedics tried to treat him on the scene but were unable to revive him. Director Michael Winner, who worked with Hemmings on the 1964 film The Girl Getters, paid tribute to the actor. "We hugged each other and said that we must have lunch and now it's very sad we won't be." "He was wonderful company, very witty, very charming, very light, bright, and I'll never have that reunion we planned to have, which was very sad." Hemmings was best-known for his role as a young London photographer opposite Vanessa Redgrave in Blow-Up in 1966. But he had started out as a young opera star, and composer Benjamin Britten wrote some of his most important child parts for him. He became a child actor and enjoyed a spell in the late 1960s as a popular leading man. He also starred in European movies such as Italian horror film Profondo Rosso. His latest role was opposite Sir Sean Connery in The League of Extraordinary Gentlemen. The father of actor Nolan Hemmings, he is survived by his third wife, Lucy Williams. He was previously married to US actress Gayle Hunnicutt and Baroness Prudence de Casembroot.